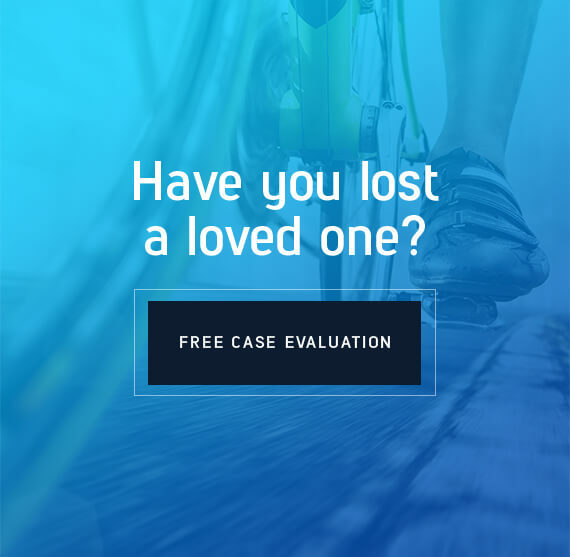 A bicyclist is no match for a vehicle and more serious accidents can and do result in wrongful death cases. In California, the deceased person’s surviving spouse or domestic partner, as well as any surviving children, stepchildren, and parents may bring wrongful death claims if they can prove they were financially dependent on the decedent. In most cases, a wrongful death lawsuit must be filed within two years of the date of injury or your loved one’s death. In the case of a defendant that is a governmental agency, you must file a claim within six months of the date of injury or death. What Types Of Damages Can You Recover In A Wrongful Death Case? A wrongful death claim can include similar compensation as in a personal injury claim, as well as special damages for losses relating to the death of a loved one, i.e. : compensation for related medical bills, retribution for the decedent’s pain and suffering and payment for lost wages. Wrongful death claims can result in monetary recovery for death related expenses and help to secure the future for the surviving spouse and children. They can also bring justice against the person or company that caused the death of your loved one. A human being must pass away. A person who is in a vegetative state is not eligible for a wrongful death lawsuit. Wrongful death suits cannot be filed on behalf of animals. NEGLIGENCE OR INTENT TO HARM. The cause of the person’s death must be determined to have been a result of negligence or intent to harm. The defendant in the case must have some responsibility or fault that applies directly to the death of the individual. SURVIVAL WITH NEED. The survivor(s) filing the lawsuit must be dependent on the deceased for some sort of financial, emotional, or physical support, which is lacking now that they are gone. REPRESENTATION OF ESTATE. The estate belonging to the deceased must be legally represented by a designated individual. Bicyclists struck from behind by motorist not paying attention. Bicyclists T-boned at an intersection by car or truck that does not stop for a light or stop sign. Dooring a cyclist-opening a car door that strikes a cyclist. Car or truck turning left in front of a bicyclist violating the right-of-way. There were 818 bicycle fatalities in 2015 (128 of these fatalities occurred in California). Bicycle fatalities represented 2% of all traffic fatalities. Men accounted for 88% of bicycle fatalities nationwide (males die 6 times as frequently as females in bike accidents). Ages 50 to 59 had the highest bicycle fatality death rates. 71% of bicycle deaths occurred in urban areas. Most bicycle deaths occur at a non-intersection. 20% of bicycle fatalities occurred between 6:00 and 9:00 p.m. The average age of persons killed while riding a bicycle has risen each year. The average age was 24 in 1988 and was 45 in 2014. Bicyclists have the same rights and responsibilities as motorists and must obey all traffic signs and signals and follow all rules while on the road. If you or a loved one are already injured as the result of a bicycle accident, it is of the utmost importance to take the proper steps to handle your healthcare, insurance claims, and medical bills. Call our experienced bicycle accident lawyers anytime and we can provide you with the answers you need. Contact EB Cycling Law for a free, confidential consultation.